Please join us as we launch our new blog, Stories From the King’s Agenda, a welcoming place to go to see God’s Hand at work in and around our lives. This inaugural blog entry is dedicated to pastors and staff workers everywhere who serve Christ from their hearts (and heads). We recently attended the retirement celebration of our former pastors, Mark and Jeanne Hopper, of Diamond Bar Evangelical Free Church. Along with a few others (over 400), we were able to bless them with our prayers and our presence. There were lots of “Mark and Jeanne” stories shared around tables that night. I’m sharing mine with all of you in the hope that you will share your loving stories about your pastors and staff members. Oh, and while you’re at it – today’s my birthday. Would you consider (in lieu of gifts and money!!!) subscribing to the blog? John and I plan to create something for our community once a week and you’ll get notified via email if you join the community. There are some things that can’t be told in a card – and I have never been known for lack of words. So, to honor you, I want to tell you a story. You both have been so much more than pastors to our church – you have been friends and you have been comforters, servants and teachers to all of us. Arriving at the hospital before my dad, I was being presented with a confusing array of decisions … to handle alone. While standing at the nurses desk, one of the nurses answered the phone and then asked, “Does anyone here know a Pastor Mark?” With a sense of relief, I was handed the phone and we talked. You said the elders were praying, everyone was with me in this, and did I need you to come? Being the brave (!!!?) soul that I am, I said I was fine. It was Friday night, traffic was awful and you needed to stay home and pray. We ended the call with a short prayer. As the evening wore on, I sent my dad and brother home and said I would stay. I remember the waiting room was packed as a young man from Rim of the World High School had been shot in some type of argument. Parents and students alike filled the room. The only place I could find to sit was against the wall on the floor of the hallway. And I felt bereft and alone in the journey. As I sat there praying and waiting, I looked up to see a familiar face walking toward me. It was you, Mark. You said you and Jeanne thought it best that you come. I recall the feeling of being covered and cared for and even now, so many years later, I find myself weeping as I write this. Through the long night you sat on the floor across from me and we talked about theology and Jesus; and we prayed. In the early morning hours, you asked if I wanted you to stay and I joked about what the congregation would think and suggested I was now ok. You got up, hugged me and headed home. My mom lived through that encounter and had several more months of life. And I learned what a Pastor’s heart was all about. Thank you for that and for so much more. We miss you both in ways we never could have imagined. And I’m afraid, you will always be our pastor, Mark, though we live over an hour away. Thank you for all of the bedside stories God has given you both; thank you for your obedience and walking beside a hurting congregation; thank you for your vision and insight (even when I disagreed with it); thank you for your gracious forgiveness and reception; thank you for loving the unlovely (of which I am foremost), and thank you for so very much grace poured out on soul after soul through your years of service here. What great and meaningful story, Kim…I started weeping as soon as you wrote about seeing Mark’s face. — Thank you for sharing this painful and deeply touching experience! Beautiful tribute to your Pastor Kim. I remember you sharing it with me and how Pastor Mark (and his wife) lifted you and gave you much needed support that night. I missed wishing you a Happy Birthday while away in Alaska! Wishing you much happiness this year and both you and John great success with your blog. Thank you, Terri. You are a blessing. Your cherished memory reminded me of the times Pastor Mark had been there when my parents were in a health crisis and the comfort he gave me and my family when they later passed away. I,like you, told him I would be ok, no need to come, but it was truly a Godsend when he came and prayed with us. God places people in our path to encourage and strengthen us. Thank you for ALSO being that listening ear and prayer warrior. We’re not always as strong as we appear, are we? Oh the heart of a Pastor and his healing presence when one is in such deep need . A memory embossed eternal ! A sweet reflection of our Heavenly Shepherd who goes after the heart of the one …..
You’re a blessed soul sister and a heart encourager … Thank you Kim ! That was beautiful Kim. As I weep too reading your beautiful tribute to both Mark & Jeanne. We wish them both a happy retirement, they so deserve it. 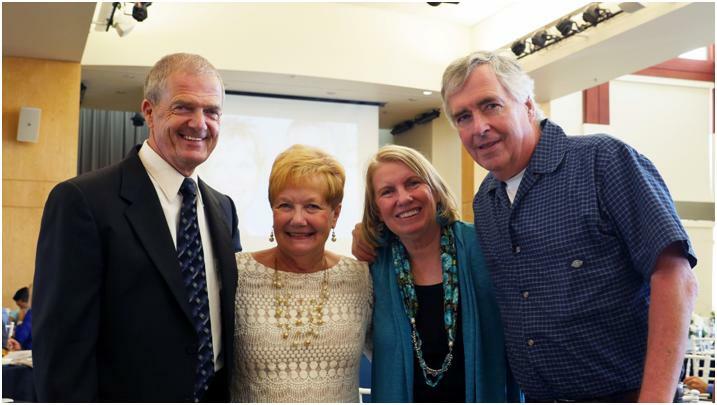 Always faithful servants of Christ, always a kind word, a shoulder to lean on, always……..
What a loving tribute to Mark and Jeanne years of service in the ministry. Happy belated birthday, Kim, my friend, my prayer warrior partner! Love your story, but you are quite lovely. Perhaps not in your eyes but in the eyes of your God and Creator, you are! Great photo! Kim and John: Hi from Colorado. Loved reading your first post while passing through a part of God’s incredible handiwork in Utah. This new venture looks exciting. Sign me up, and Happy Birthday! Sooooo LOVE your insightful tribute to Mark and Jeanne whom Shawn and I LOVE sooooo much!! They wanted our young marrieds group to take off well from the start that we began with their direction st Diamond Bar E.V.Free that they joined us as founding members even being parents of 4 chikdren and we all had none!! Charlene Humphries on What Caption Would You Give This Photo? Kim Laliberte | PO Box 833, Bonsall, CA 92003 | Policy | Copyright ©2015 Kim Laliberte Ministries. All rights reserved.